With 2 schools, more than 20 years of experience, and over 40 partners worldwide, Instituto Intercultural del Caribe (IIC) is one of the most renowned language institutes in the Dominican Republic. IIC’s Spanish courses are accredited by Seton Hill University (Pennsylvania, US) for university credits and in Germany by 7 German states for the so-called “Bildungsurlaub”, the educational leave for professionals. You can choose between t wo diverse locations to learn Spanish with us, each with their own charming appeal. One of our schools is located in the country’s capital of Santo Domingo, a Caribbean metropolis with more than 3 million inhabitants. The city’s Zona Colonial is a UNESCO World Heritage site. Our other school is situated on the north coast of the Dominican Republic in the small coastal town of Sosua near Cabarete/Puerto Plata, famous for its nature sites, incredible beaches and water sports activities. Students can sign up for Spanish course programs all year round at both schools on different language levels and for different programs (mini-group courses, private tuition, combinations of both, DELE exam preparation as well as special programs combining the language studies with culture and dance classes, volunteering, or scuba diving, windsurfing, and kite surfing). Would you like to discover the Dominican Republic in its entirety? No problem! You can choose to study at both IIC locations within one program. 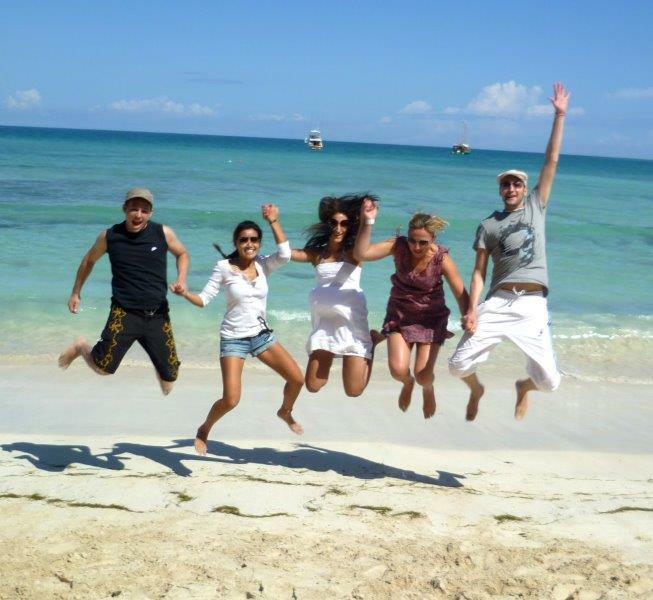 In addition to Spanish course programs, we also offer German and English classes to the locals. Our sister school, Casa Goethe, the German Department of the Institute, organizes regular and intensive German or English courses, special German courses for the hotel and tourism business, and English for Business. Furthermore, we offer translations and interpreting services with official recognition.